Jen arrived in Thailand in 2005 to teach English at a ‘post-high school’ in Umphium Mai camp, where she was also fortunate enough to live much of the time. She has a Bachelor of Arts from York University in Toronto and wide-ranging English teaching experience in Canada, Japan and Thailand. She spent three years in Mae Sot, Thailand and developed and managed an educational project for refugees for an international nongovernmental organization, ZOA Refugee Care. She became involved with orphans when her students told her about a boarding house in Umphium Mai refugee camp that had burned down. After spending nearly a decade in Asia, she returned home to Canada with her family, where she is currently undertaking a Master of Education and teaching in higher education institutions. 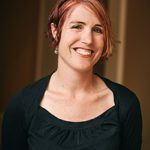 Jen holds a Bachelor of Arts in International Development from McGill University in Canada and a Masters of Social Work (Qualifying) from the University of Sydney in Australia. She worked in Mae Sot, Thailand for seven years, with refugees and migrants from Burma/Myanmar, including work with both international NGOs and local groups on education and child protection projects. She has worked in Taiwan, Sri Lanka and Laos, and, since May 2015, she has been helping to develop curriculum in partnership with Yangon University, including lecturing on the Post-Graduate Diploma in Social Work program. 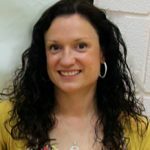 She is passionate about community-based child protection and capacity building, loves working in the community, getting her feet dirty, and at the end of the day, dancing it out. 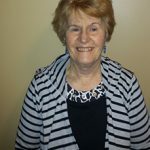 Sandra was born in Australia and has lived in Canada for 42 years, working as an Occupational Therapist. In June 2010 Sandra spent 6 weeks in Mae Sot working with Room to Grow; she returned for several months in 2011 and 2012. During this time, Sandra was able to help put into practice the core Occupational Therapy principles of self-care, productivity and leisure. For children this means that learning and self-confidence come from play (informal), and classroom (formal) education. This allows children the opportunity to fulfil their potential and inspires them to be curious about the world. Play and dance also promote children’s physical development and improve their overall health. Sandra believes that all children have the right to participate in educational opportunities, have fun, relax and play. 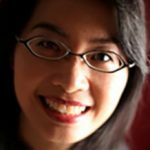 Su-Ann is a Visiting Fellow at the Institute of Southeast Asian Studies, Singapore. She is a sociologist working on education, refugees and borderlands, and her geographical focus is the Thai-Burmese border and Burma/Myanmar. 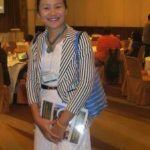 Between 2005 and 2008, she conducted research on education in the seven pre-dominantly Karen refugee camps along the Thai-Burmese border. The data collected from this fieldwork together with more recent data is the basis for a book on education in refugee camps that she is currently writing. She has also written about orphans and unaccompanied minors in refugee camps and has published widely on education for refugees in Thailand and the Thai-Burmese borderlands. Hay Mar San is responsible for setting up new child protection programs for Room to Grow in Mae Sot, Thailand. She works with the child protection network to support families with children in crisis. She graduated from Dagon University in Yangon and holds a diploma in Liberal Studies from the Australian Catholic University. While studying in Dagon, she volunteered as a community health worker for Save The Children. In 2005, she began work as a psychosocial worker for Aide Médicale Internationale. In 2009, she was a trainer on parenting children for IRC. In 2011, she worked with BBP as a child and youth program manager. Her passion is helping migrant youth have a brighter future and to work with children. Founding Directors Jennifer Allore, Jennifer Jones and Su-Ann Oh worked together in Umphium Mai Refugee Camp in 2006. Through their work, they met young people living in boarding houses who had fled conflict areas of Burma/Myanmar in order to find safety and an education. Many of these children spent their evenings foraging for cabbage leaves leftover in the fields surrounding the camp in order to have something to eat at night. In 2007, one of the boarding houses burned down in a fire, leaving the young boarders with nothing but their desire for a better future. Our efforts to help rebuild their house and make it a home were the first important project that we undertook as a group, and our first step to becoming what is now Room to Grow Foundation. There are currently no vacancies for paid positions or for volunteering.